Darren of Just Watching the Wheels Go Round left a comment on my blog about a place called Hay-on-Wye, which is famous for its many bookshops. As happens with synchronicity or coincidence, that day I had been looking at a 100+ year old book I had bought at Hay-on-Wye on my last visit, which was over five years ago. The book is called The Journal of American History. So I thought that this possibly meant I should write a post about the book - well, publish a few images at least. 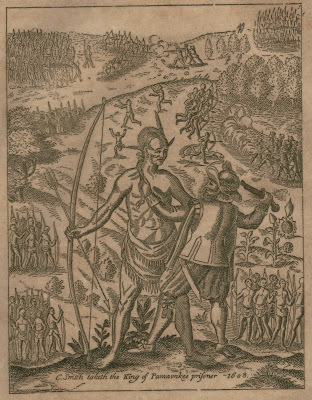 The book starts off all about John Smith (1580 – 1631). 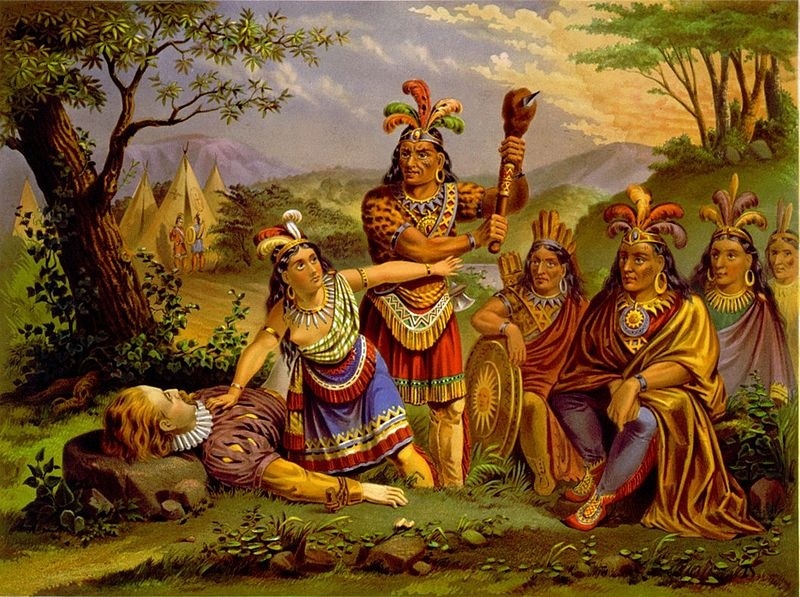 Now I didn't know much about him other than the Pocahontas link - the picture above, which is a painting from 1870, shows Pocahontas saving Smith's life. 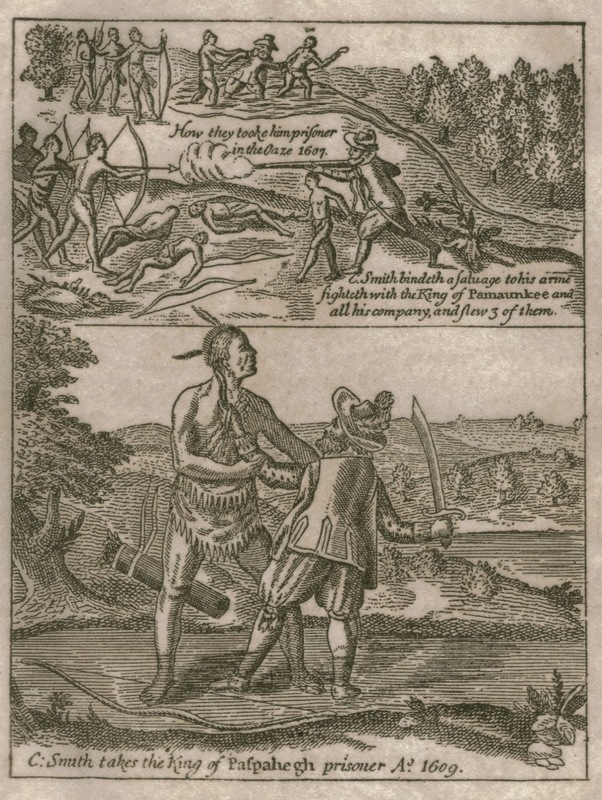 John Smith was one of those who sailed from England to, what is now the USA, and landed on the 26th of April 1607. A bit of a coincidence here for me with the 6 and 7 in the date and also the 26th of April being my parents wedding anniversary. The landing was at Cape Henry and it just so happens I am researching an old relative called Henry Perry. 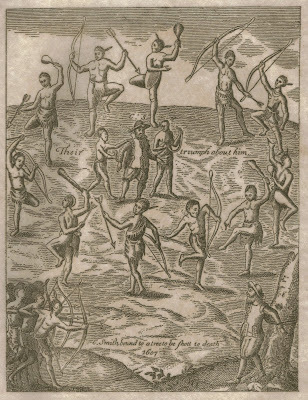 Let's look at an image from my antique book, which is of an engraving from the 1600s of the same scene as the painting at the top of the post. It illustrates how we see things differently through the ages and how history can be manipulated. 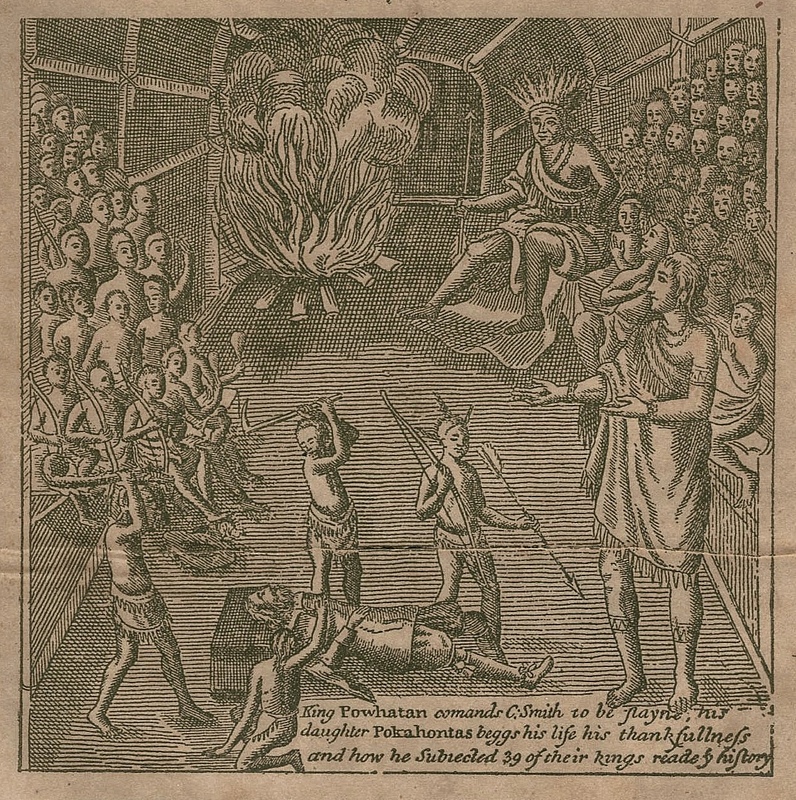 The book states: "Captain Smith condemned to death by the Aborigines of the New World. Quaint scenes of his sentence and his tragic rescue by the daughter of the Savage King at the moment of execution." 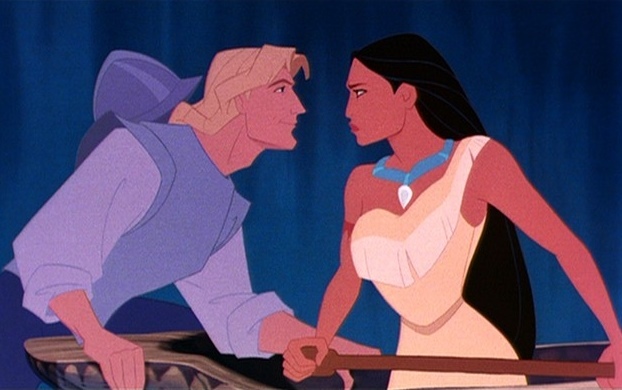 It's interesting how Native Americans have been viewed over the years, and look how we now see Smith and Pocahontas on screen! 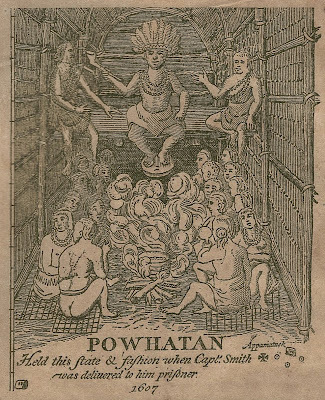 The next image shows the Chief of the Powhatan and the caption reads: "Powhatan held this state and fashion when Capt. 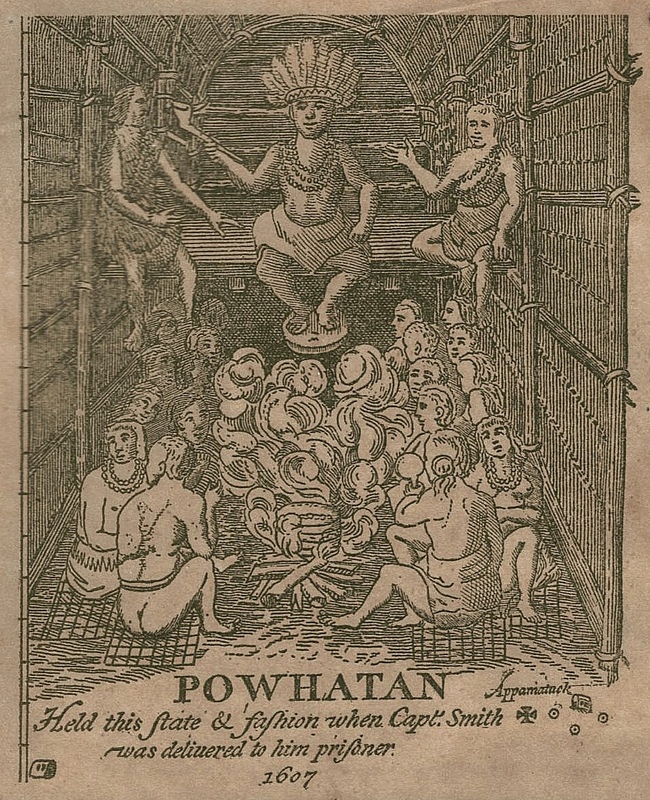 Smith was delivered to him prisoner 1607." I think I'll just stick to theme of John Smith and his captors. 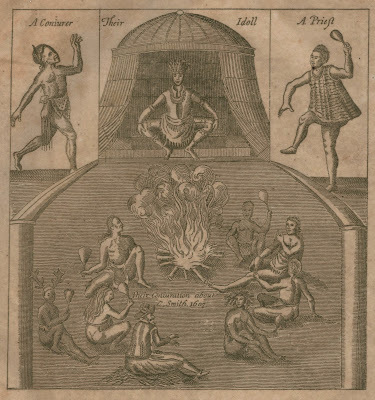 The book's description for the following is "Captain John Smith held a prisoner by the American Aborigines in 1607 and ushered into the sacred presence of the Holy Idol while the Priest and the Conjurer weave a spell about him and subdue him with their weird incantations and hideous outcries." 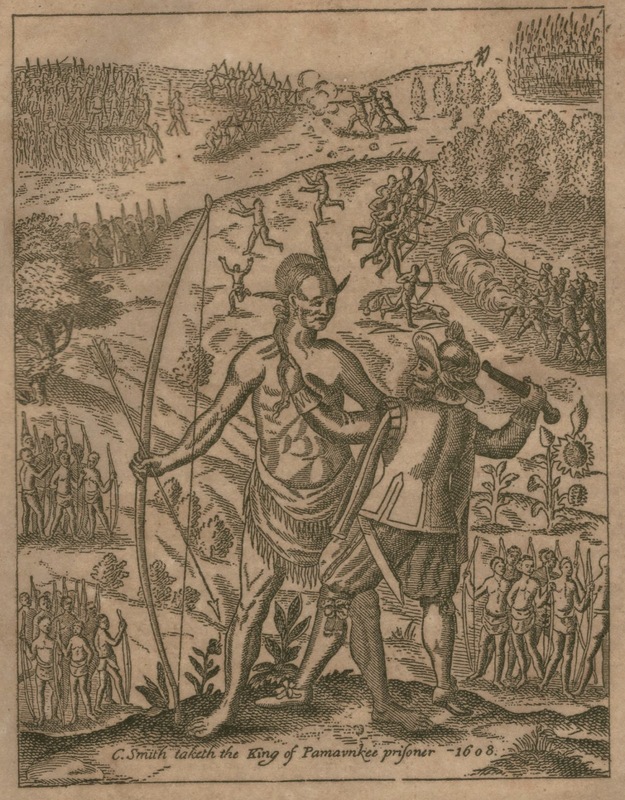 Below, we have moved forward to 1608: "Captain John Smith in an attempt to force the American Savages into subjection. 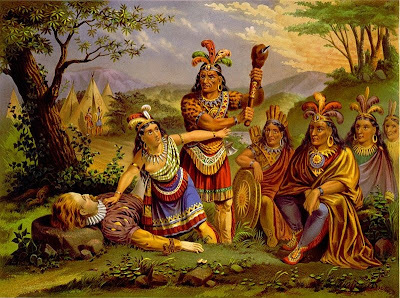 He snatched the King by his long locke and with his pistol ready bent against his breast, led him trembling near dead with fear and addressed the terrified Aborigines." Going back to 1607, a couple more 1600s engravings said to be taken from John Smith's own book. 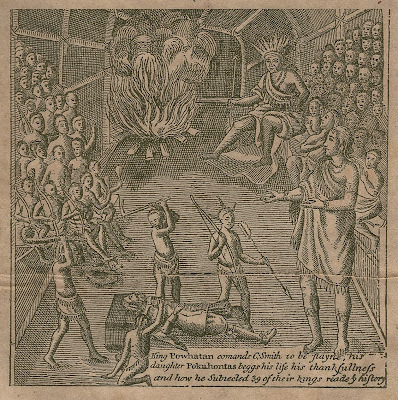 Firstly "Captain John Smith taken captive by the Savages and bound to a tree to be shot to death while his executioners triumphantly danced about him, swinging their bows and arrows and subjecting him to torture." And finally, the following engraving shows: "The adventures of Captain John Smith, his daring escapades, his dangers and his triumphs in establishing the First Permanent English Settlement on the Western Hemisphere." Because of Darren's comment I ended up reading about Pocahontas and writing this post. It shows how we can be led places, sometimes without realising we have been influenced to do so. There can be good and bad sides to this. 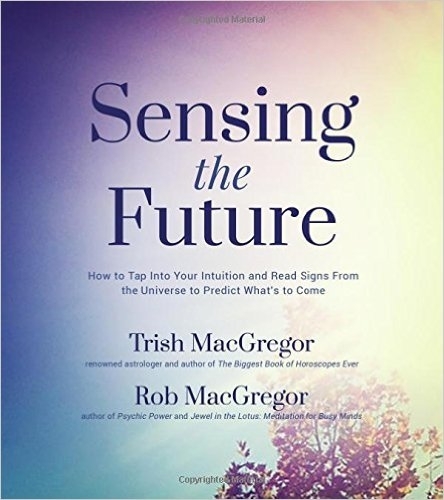 I think though, with synchronicity and coincidence, it's often a good idea to follow the prods and nudges received as they are usually of value. Fascinating post, Mike. I agree completely about following the synchro nudges! Nudge, nudge, wink wink - as used to be said. I like the way of the Native Americans and their history and ways. Interesting post. I have great respect for their traditions too.